MovieScore Media releases the musical score for the tropical action thriller In the Blood, written by Underworld composer Paul Haslinger. Directed by John Stockwell (Into the Blue, Turistas), the movie stars Gina Carrano (Haywire, Furious 6) as Ava, a young woman whose husband goes missing during their Caribbean vacation, so she sets off on her own to find and take down the men she thinks are responsible for his disappearance. Also featuring Treat Williams, Luis Guzmán and Danny Trejo in this hot and humid tropical hell, the film offers a heart-pounding score to match the on-screen excitement. MovieScore Media’s release of In the Blood coincides with the film’s American theatrical premiere on 4 April 2014. The score for In the Blood was written by Paul Haslinger, a former member of the pioneering German prog rock band Tangerine Dream. Starting his film career by working as an arranger/ programmer for Graeme Revell (Titan A.E., Tomb Raider), Haslinger wrote his first individual score for director John Stockwell with Cheaters (2000) and has scored most of the director’s movies, including Crazy/Beautiful (2001), Blue Crush (2002), Into the Blue (2005) and Turistas (2006). Haslinger had also scored films as diverse as three of the four Underworld films starring Kate Beckinsale, coming-of-age comedy The Girl Next Door (2004) and he even branched out into the world of television and video games with titles like Sleeper Cell (2005), Rainbow Six: Vegas (2006) or X-Men Origins: Wolverine (2009). 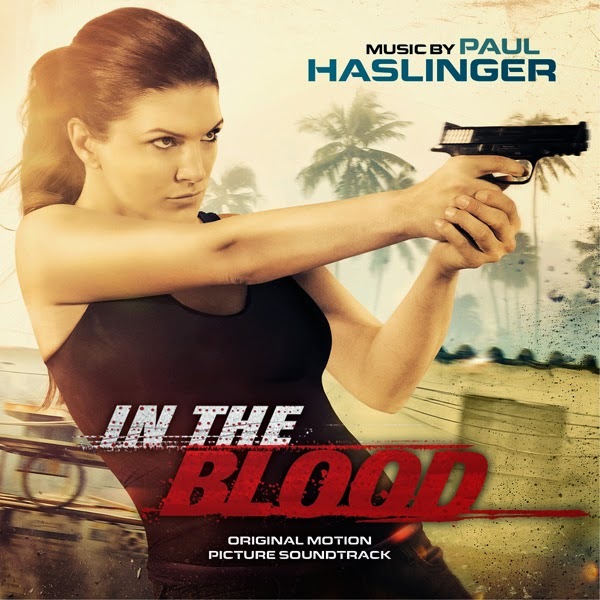 Haslinger’s contribution to In the Blood is an exciting, contemporary action/thriller score which mixes strong, sharply produced electronic beats with elements of traditional Caribbean vibe. The music can be described as an ethnically-charged, tropical-sounding score written in the vein of the Bourne franchise, but it can be taken as a welcome continuation of Haslinger’s fan favorite action scores like Shoot 'em Up (2007) or Death Race (2010).